The RP Series consists of two models, 2001RP and 2003RP. These units are ideal sources for general purpose AC power applications that require variable voltage and frequency at power levels up to 2000 VA. The 2001RP provides single phase output and the 2003RP provides three phase output. With simple knobs used to set voltage, frequency and current limit, the RP Series provides an inexpensive source of AC power in a small and lightweight package. All RP Series power source models can be used in table-top mode or rack-mounted. The RP Series uses a precision digital sinewave generator to produce a low distortion output . Dual LCD readouts clearly display programmed settings for voltage, current limit and frequency. Load current is measured using true RMS sensing and can be displayed on the front panel as well. Adjusting voltage, frequency and current limit is accomplished using a set of digitally encoded rotary knobs. For ATE applications, both IEEE-488 and RS232C interfaces are available as an option. Grid emulators are specially designed for emulate grid disturbances. Each equipment integrates VSC modules and DSP control boards equipped with all necessary power components, electrical protections, auxiliary electronics and security elements. The power electronics unit of each emulator is a back to back topology formed by 2 voltage source converters connected in series. It is a multifunctional AC-AC converter that shows a wide range of applications. Grid emulators are specially designed for emulate grid disturbances. All the range of our Grid Emulators allows great flexibility to evaluate all type of scenarios. They can generate different type of grids and its common faults and disturbances. • Three phase power grid (3F+N) from 0 to 440Vac. • Power grid with variable frequency from 0 to 800Hz. • Generate and save harmonic waveforms. • Generate and save arbitrary waveforms. • Capture and display output voltage and current waveforms. • Measure, display, print and log harmonic voltage and current measurements. • Display IEEE-488, RS232C, USB and LAN bus traffic to and from the AC Source to help you develop your own test programs. Using the provided GUI program or custom software, the user also has the ability to define arbitrary AC waveforms. The arbitrary waveform method of data entry provides an alternative method of specifying AC anomalies by providing specific waveform data points. The GUI program provides a catalog of custom waveforms and also allows real-world waveforms captured on a digital oscilloscope to be downloaded to one of the many AC source’s waveform memories. Arbitrary waveform capability is a flexible way of simulating the effect of real-world AC power line conditions on a unit under test in both engineering and production environments. The RS Series controller has a powerful AC and DC transient generation system that allows complex sequences of voltage, frequency and waveshapes to be generated. This further enhances the RS’s capability to simulate AC line conditions or DC disturbances. When combined with the multiphase arbitrary waveform capabilities, the AC and DC output possibilities are truly exceptional. Transient generation is controlled independently yet time synchronized on all three phases. Accurate phase angle control and synchronized transient list execution provide unparalleled accuracy in positioning AC output events. Increasingly, manufacturers of high power equipment and appliances are required to fully evaluate and test their products over a wide range of input line conditions. The built-in output transient generation and read-back measurement capability of the MX Series offers the convenience of a powerful, and easy to use, integrated test system. • Measure standard power measurements..
disturbances. Transient generation is controlled independently yet time synchronized on all three phases. Accurate phase angle control and synchronized transient list execution provide unparalleled accuracy in positioning AC output events. The Ls Series offers functional and bus compatibility with the CI L Series AC power sources. Using the APE (Abbreviated Plain English) command syntax, the Ls Series can be used in existing test systems without the need to modify program code. The APE language is part of the -GPIB option, which also adds the GPIB/ IEEE-488 interface. With precise output regulation and accuracy, high load drive current, multi or single phase mode and built-in measurement capabilities, Ls Series AC sources address many application areas for AC power testing. Additional features, like available DO 160 or MIL 704 test standards, make the Ls Series a good choice for avionics or defense applications. All Ls Series AC sources are standard equipped with RS232C and USB remote control interfaces. An optional GPIB and LAN interface is also available. To simulate common line disturbance occurrences, the Ls Series offers a list of transient steps. These steps can be programmed from the front panel or downloaded over the interface using the GUI program supplied. The GUI allows libraries of commonly used line disturbances to be created on disk for quick recall. Once downloaded, the transient program can be executed from the PC or from the front panel. AC transient generation allows the effect of rapid changes in voltage, frequency, phase angle and waveform shape on the unit under test to be analyzed. The AC Source can perform a self test and report any errors. The self test will run until the first error is encountered and terminate. The response to the self test query command will either be the first error encountered or 0 if no error was found. (Self test passed). The Ls Series is available in either three or one phase output configurations and offers voltage ranges of 135 Vrms and 270 Vrms. A wide range of options can be added to customize the Ls Series to meet your specific application requirements. Output voltage range options are available to provide higher voltage outputs. In addition to the standard 135/270 V range pair, 156/312 Vrms (-HV option) and 200/400 Vrms (-EHV option) can be specified at the time of order. All voltage ranges are Line to Neutral. On three phase Ls Series models, maximum Line to Line voltages are 467 V (standard), 540 V (-HV option) and 692 V (-EHV option). The -MODE option provides automatic switching between three phase and single phase output modes. In single phase mode, all output current is routed to the Phase A output terminal. The -MODE option is available for 3 phase Ls models (e.g. 4500Ls-3). Clipped Sinewave – Simulates THD levels to test for harmonic distortion susceptibility. Harmonic and Arbitrary (User defined) waveforms. Using the provided Windows Graphical User Interface (GUI) program, defining harmonic waveforms is as easy as specifying the relative amplitude and phase angle for each of up to 50 harmonics. The waveform data points are generated and downloaded by the GUI to the AC source through the standard RS232C or optional GPIB bus and are retained in non-volatile memory. Up to 50 waveforms can be stored and given a user defined name for easy recall. Power analysis of EUT load characteristics is available by adding the -ADV option. Harmonics up to the 50th harmonic (for fundamental frequencies up to 250 Hz) and total harmonic distortion of both voltage and current is provided as well. Harmonic analysis data can be displayed on the front panel display or on the PC using the GUI program. The GUI can also be used to save and print harmonics data in tabular, bar graph or time domain formats. The acquired voltage and current time-domain waveforms for each output phase can be displayed using the GUI program. Waveform displays on the PC. Available display modes include voltage and current combined, three phase voltage, three phase current and true power. The time-domain data is also available for transfer to a PC through the bus when using custom software. The Lx Series offers functional and bus compatibility with the Agilent HP6834B AC power sources as well as the CI iL Series AC power sources and may be used in existing test systems without the need to modify program code. Power levels of 3000 VA and 4500 VA match the available HP6814B and HP6834B models exactly. Unlike these HP/Agilent models however, the Lx series supports a constant power mode, which provides higher output RMS current at reduced voltage for greater power output at less than full-scale voltage. (except 6000Lx, 12000Lx and 18000Lx) Furthermore, the Lx series can easily be paralleled for higher output power and multi-chassis Lx Systems up to 17.3 KVA are available allowing expansion of existing HP/Agilent based test systems. The front panel operation has been simplified with a greatly reduced number of buttons while still allowing most functions to be accessed. The Lx Series provides sine and clipped sine waveforms in addition to user defined arbitrary waveforms. Harmonic waveforms can be used to test for harmonics susceptibility of a unit under test. With the help of the supplied Windows Graphical User Interface program, defining harmonic waveforms is as easy as specifying the relative amplitude and phase angle for each of up to 50 harmonics. The user also has the ability to define arbitrary waveform data. Complex AC voltage anomalies can be simulated this way. The waveform data points generated are downloaded by the GUI to the AC source through either IEEE-488 or RS232C bus and remain in non-volatile memory. Up to 32 user-defined waveforms can be stored and given a descriptive name for easy recall. Downloaded waveforms are retained in non-volatile memory for recall over the bus or from the front panel. To simulate common line disturbance occurrences, the Lx Series offers a list of transient steps. These steps can be programmed from the front panel or downloaded over the interface using the GUI program supplied. The GUI allows libraries of commonly used line disturbances to be created on disk for quick recall. Once downloaded, the transient program can be executed from the PC or from the front panel. AC transient generation allows the effect of rapid changes in voltage, frequency, phase angle and waveform shape on the unit under test to be analyzed. The combination of transients and user defined arbitrary waveforms creates a powerful test platform for AC powered products. The Lx Series measurement system is based on real-time digitization of the voltage and current waveforms using a 4K-sample buffer. The digitized waveform data is processed by a Digital Signal Processor to extract conventional load values such as rms voltage, rms current, real and apparent power. The same data is also used to perform Fast Fourier Transformation (FFT) to extract the harmonic amplitude and phase angle of 50 harmonics. In addition to standard load parameters, the Lx Series is capable of measuring voltage and current amplitude and phase harmonics. Total harmonic distortion of both voltage and current is also available. Advanced measurement results like harmonic content of voltage and current for all three phases are available over the bus. The GUI can be used to save and print harmonics data in tabular, bar graph or time domain formats. The acquired voltage and current time-domain waveforms for each output phase can also be displayed using the GUI program. Waveform displays on the PC include voltage and current combined, three-phase voltage, three-phase current and true power. The time-domain data is also available for transfer to a PC through the IEEE-488 or RS232C bus when using custom software. The ContinuousWave (CW) Series of AC power sources provides clean single phase power at an impressive price/performance ratio. These compact switch mode sources come in two series, manual (CW-M) or programmable (CW-P) with standard IEEE-488.2 or RS-232 control. Both series have three power levels, 800 VA, 1250 VA and 2500 VA. The 800 and 1250 VA models are 2U (3.5″) high and allow the unit under test to be connected to the front or rear panel. The 2500 VA model is 3U (5.25″) high with rear panel output connections. All models can be operated in a benchtop or rackmount configuration. and output-on. LED’s indicate menu/status, remote control, lockout and fault conditions. Digital Signal Processing (DSP) based measurements include voltage, current (amperes, peak amperes, crest factor), power (watts, VA and power factor) and frequency. Toggle between single and three phase output (2253 i/iX only). Inspired by the enduring power of a brilliant star, the California Instruments Asterion line of AC power sources by AMETEK Programmable Power combines intelligence and flexibility to create an advanced platform of AC solutions. This easy-to-configure design features sophisticated technology for delivering high performance, programmable AC and DC power. Its sleek design packs maximum power density into a low-profile form factor with an intuitive touch screen interface placing that power at your fingertips. Centralized control and unparalleled modularity make Asterion the most adaptable platform on the market. Its groundbreaking capabilities set the standard for affordable, precision power sources. Control via Front Panel Touchscreen & Encoder or available digital control interfaces. The Asterion AC Series is Digital Signal Processor (DSP) controlled and can be operated from the intuitive, easy to use front panel touchscreen or the Ethernet LXI, USB and RS232 standard control interfaces, as well as through the optional GPIB control interface. The touchscreen function group icons include a Dashboard, Output Programing Parameters, Measurements, Sequencing, Configuration, Control Interfaces, Applications, and System Settings. Function selection and parameter entry can be achieved either by direct selection from the touchscreen or by using the encoder selector button. The control resolution is adjusted by a dynamic rate change algorithm that combines the benefits of precise control over small parameter changes with quick sweeps through the entire range. For more details, download data sheet here. The Sorensen DCS 1 kW Series programmable power supplies utilizes unique processing techniques to achieve continuous full output power in any volt/amp combination within the rated output voltage and current limits in a low profile chassis., Demonstrated large installed base over a long period of time, the DCS family provides a highly reliable power platform. This family has an easy-to-use front panel with 10-turn potentiometers to adjust voltage and current settings that are displayed simultaneously. LEDs indicate overtemperature, remote programming, shutdown and over voltage protection, status and constant-voltage/current mode operation. The Sorensen DLM 600 series of programmable power supplies is designed to provide continuously variable output voltage and current for a broad range of applications in a compact 1U (1.75 inches) high, half-rack (8.5 inch) wide chassis. With the use of Zero Voltage Switching (ZVS) technology, these supplies are able to achieve exceptionally low ripple and noise rivaling larger and more expensive linear power supplies. In addition, the high efficiency and fast load transient response assure that the DLM 600 is ideal for even the most demanding applications. The DLM 600 models are ideal for high density multiple output rackmount requirements or low profile benchtop applications. Output voltages from 0-5VDC to 0-300VDC and currents from 0-2A to 0-75A are available. The Sorensen XG 1500 Series is a 1500 Watt, 1U full-rack DC power supply. The XG Series is the new standard for powerful, programmable DC power systems. Designed for test, production, laboratory, OEM and quality assurance applications, the XG Series provides a wealth of features to ensure accuracy and greater efficiency. It puts clean, reliable power at your disposal and delivers stable, variable output voltage and current for a broad range of development, test and system requirements. The Sorensen XG 850 Series is an 850 Watt, 1U half-rack DC power supply. The XG Series is the new standard for powerful, programmable DC power systems. Designed for test, production, laboratory, OEM and quality assurance applications, the XG Series provides a wealth of features to ensure accuracy and greater efficiency. It puts clean, reliable power at your disposal and delivers stable, variable output voltage and current for a broad range of development, test and system requirements. Zero voltage, or “soft” switching, provides significant benefits. Switching transients are virtually eliminated and noise performance is closer to linear levels. Efficiency is increased, heat generation is decreased, and stress on the switching transistors is reduced – improving reliability (MTBF). Unlike most competitive products, XFR generates full power at full rated current over its total operating range of 0 to 50° C without derating. XFR is also designed with excellent thermal management, so units can be stacked in rack mounts without leaving ventilation space between each unit. The Sorensen XBT32-3FTP adds to the capability of the Sorensen benchtop product line with a 16-bit triple output supply. Channels 1 and 2 can be programmed 0-32V and 0-3A each. The third output is fully programmable 0-15V, 0-5A up to a maximum of 30W. Channels 1 and 2 can be configured for tracking, parallel or series operation to provide, in effect, the equivalent of 6 different power supplies. In isolated mode, each of the 3 outputs functions independently; in tracking mode, channels 1 and 2 provide the same, but isolated output; in parallel mode, there is one 0-32V/0-6A output and one 0-15V/0-5A/30W output; in series mode, there is one 0-64V/0-3A output and one 0-15V/0-5A/30W output. XHR provides 1000 watts of programmable DC power in a compact half-rack package. It is available in nine 1 kW models. 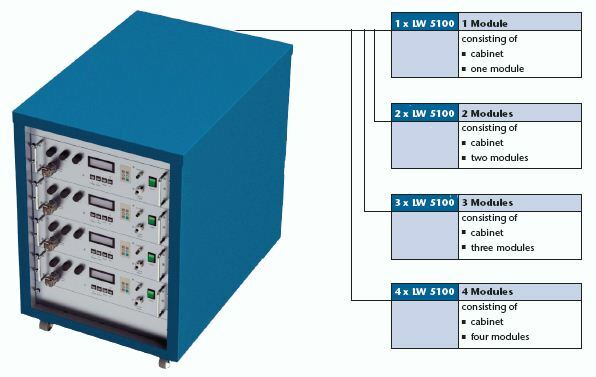 Its unique features and size make XHR ideal for OEM applications where high power and wide adjustment of output voltage or current is required, and a compact half-rack configuration is advantageous. It is stackable with a small foot print, front panel binding post connectors and a low current requirement that allows it to be plugged into a standard 120 VAC, 15 A circuit. State-of-the-art zero voltage or “soft” switching technology virtually eliminates switching transients for high efficiency, low noise and high reliability. XHR is also power-factor-corrected for low current draw (only 11 A at 120 VAC for 1000 watts) and reduced generation of input current harmonics. The Sorensen XPL series has been designed to meet the need for compact power supply at a reasonable price. The XPL series provides 30 to 125 watts of programmable, linear DC power. The XPL is a compact, high performance low cost power supply suited for most benchtop applications. The XPL Series features excellent line and load regulation with low noise and good transient response. The XPL Series is available in a single, dual and triple output. The XPL dual output model has two independent and isolated outputs each with a 0 to 30V, 0 to 2A capability and its own on–off switch. The outputs can be wired in either series or parallel to provide voltages up to 60 volts or currents up to 4 amps. All outputs are instrinsically short circuit proof, and are protected against external voltages and reverse currents. The XPL triple output model has the same features as the dual output model with an additional switchable fixed output of 3.3V and 5V. also has a remote programming option making the popular XPF perfect for some ATE applications. The interfaces included: LXI Class C Ethernet, GPIB, USB and RS-232/423. remove dozens of screws to reach a potentiometer. Simply follow the AMREL calibration routine from the front panel and you should be back up and running in a very short period of time (some electronic test equipment needed). This will virtually eliminate downtime and eradicate the annual cost associated with shipping your eLoad back to the factory for calibration. the MTTR is reduced and the electronic load quickly returns to full operation. to dissipate1500A will allow the user to operate at .6V and still dissipate the full amount. Traditional dc Electronic Load Solutions are bulky and large in size. Most are offered with standard voltage, current and power ratings. In the ATE world, rack space is a highly coveted asset and application demands are constantly diversifying with new technology development. AMREL’s PLW Series of “Water-cooled” dc Electronic eLoads are capable of being custom-tailored to meet your specific application requirements. The PLW Series also offers a unique condensation protection design, the highest power density and current rating, as well as the widest selection of high-voltage models on the market..
To ensure the reliability of the PLW Series, AMREL’s design includes individual FET protection. A programmable electronic load may contain many FETs in parallel, which can create a cascading failure if one of them was to short out. AMREL’s eLoad programmable electronic load design isolates failures so other components will not be affected or stressed, increasing the system’s level of protection against catastrophic failure. With individual FET protection, the MTTR is reduced and the electronic load quickly returns to full operation. • ETS 60 / 80 / 150: For use with micro-inverters or DC optimizers up to 150Vdc Voc. Many solar inverters generate AC ripple on their DC input, which is connected to the photovoltaic array. For single phase inverters, the frequency of this ripple is twice the line frequency (120 Hz for US models). The simulator’s power supplies must not suppress this ripple as a function of their regulation loop. An increasing number of inverters (and virtually all micro-inverters) accurately measure amplitude and phase of the ripple voltage and current to quickly track the MPP of the array. This approach allows tracking the MPP at a much higher speed when compared to conventional dithering techniques (also called perturbate-and-observe). Faster tracking of the MPP results in a much higher overall efficiency in cloudy conditions, where the irradiance is constantly changing. It is likely that all solar inverters will use this approach in the near future, since end users are very sensitive to the overall efficiency of their solar energy installations. To satisfy this requirement, the PV simulator must be capable of reproducing the voltage / current behavior of a solar array at the ripple frequency. Most standard switching power supplies employ very large output capacitors and inductors in their output circuits and are unable to deliver the required performance – regardless of the response speed of the I-V curve controller. The Elgar TerraSAS line of PV simulators are based on high speed versions of our standard products, where output capacitors and other speed-limiting components have been adjusted. This results in a speed improvement of 10 times or better. Proprietary features built into the PV controller hardware and firmware, combined with our high speed power supplies, deliver the required performance. This technology was extensively tested on micro-inverters and is ready to test the next generation of inverters. The required performance is delivered by high speed switching power supplies and advanced Digital Signal Processing techniques. In some conditions traditional DC power sources using IGBT technology do not meet MPPT response speed requirements, depending on the MPPT principles. Our power supplies use Power MOSFETs, which typically switch ten times as fast as the most recent IGBTs. Higher switching frequency translates to smaller output capacitors and inductors – which is the key to a successful high speed power supply design. when regenerating the energy to the grid. With the advanced requirement of miniaturization and high frequency technology of coil production, the DWX tester is designed to test other coils and low inductance coils used in high-end electronic components. Through the use of impulse power source with high-speed switch, highly efficient input circuit, and high-speed A/D sampling circuit, the DWX tester can offer a new solution to the low inductance coil tests. When renewable energies introduction is increasing, appears the need of managing this fluctuating source of energy with the support of any kind of storage system. In some cases, batteries are used to do this and the equipment developped is usualy named Batery Energy Storage System (BESS). At the heart of this function there is the equipment who mnages the energy, charging and extracting energy from batteries and allowing to work connected or in island mode. This product is the Microgrid Manager. The MicroGrid Manager is an off-grid inverter, a bidirectional converter that charges and discharges batteries from or to the Electrical Grid. It also allows the transition from the island mode to a connected mode. When in Connected Mode, the converter follows active and reactive setpoints allowing the energy balance. In Island Mode, the converter fixes the grid requirements: voltage and frequency. The power supply controls independently the active and reactive power consumed. The user can select the required inductive or capacitive power. Different interfaces can be integrated to communicate with the Battery Management System (BMS). Heavy input filtering to ensure no electrical noise will be generated to interfere with autopilots, radios, or other devices sharing the same batteries. The power our IPS Series Inverters produce is cleaner and has less fluctuation than household AC, learn more about our IPS, or IVS PureSine Series inverters in our product catalogue. We are pleased to announce the SPS300 series inverters, which are IP67 rated waterproof pure sine wave inverters designed for rugged operating conditions where water and dust protection are required. Their waterproof construction also makes them ideal for locations where C1D2 certification is required. The billet CNC machined enclosure features cooling fins designed in cooperation with Simon Fraser University for optimal heat dissipation. These units provide up to 600 watts to charge a 12V or 24 V battery systems (1 or 2 banks) from a 12, 24, 32 or 36 volt source. The single-board design incorporates state-of-the-art switch mode technology for unmatched efficiency and ultra-quiet operation. Multiple stages of filtering reduce radiated or conducted noise to very low levels. All Series are capable of charging up to two independent banks of batteries. • Reliability features include: an input fuse, thermal shutdown, current limiting, reverse battery hookup protection, output short circuit shutdown with automatic recovery, and an equalizing charging cycle. • The output voltage is easily adjusted 0.5 volts above or below the standard output voltage to accommodate special charging requirements. • Precision output voltages control, output short circuit protection, 2 or 3 stages charging topology, visual and audible indicators for input under voltage and over-temperature. Our AC Chargers are available as two-stage or two and three-stage chargers capable of charging one or two banks of 12, 16, 24, 28, 32, 36, 48 or other voltage battery banks up to 48 volts, and are designed to quickly charge and condition batteries. Analytic Systems’ Single and 3-Phase Sine-Wave Converters deliver output power ranging from 250 VA to 5000 VA.
Our Frequency Converters also generate nominal output voltages of 115 VAC or 220 VAC, at frequencies of 50, 60 or 400 Hz. A broad range of input voltages are available. Whether you produce electricity from Wind Turbines, Solar Panels or Small Scale Hydro Electric systems, the power needs to be stored in battery banks without wasting a watt. Analytic Systems’ patented MPPT Charge Controllers handle open circuit input voltages to 200 Volts and pump out up to 100 amps into battery banks up to 48 VDC. A full line of high efficiency DC-AC Inverters and DC-DC Voltage Converters up to 3000 watts output allow the stored energy to be used for any desired purpose. Aluminum enclosures, stainless fasteners, conformal coated circuit boards and conservative components ensure long life and reliability. Schaefer’s broad range of ac/dc converters and battery chargers, with power ratings from 50W to 22kW, are suitable for almost any application where robust design and high reliability are required. Schaefer offers the industry’s most complete range of input and output voltages, with a selection of package style and mounting configurations. Schaefer’s broad range of dc/dc converters, with power ratings from 50W to 22kW, are suitable for almost any application where robust design and high reliability are required. Schaefer offers the industry’s most complete range of input and output voltages, with a selection of package style and mounting configurations. Schaefer’s broad range of DC/AC pure sine wave inverters, with power ratings from 700W to 30kW, feature rugged designs and high reliability while providing clean, utility grade power. Schaefer offers the industry’s most complete range of input and output voltages, with a selection of package styles and mounting configurations. Some of our highly advanced designs feature integrated a UPS, static switch, battery charging and/or parallel capabilities. Schaefer’s rugged AC/AC frequency inverters, offer power ratings from 0.5kVA to 36kVA. They are feature packed, with an industrial design, highly reliable and suitable for complex loads. 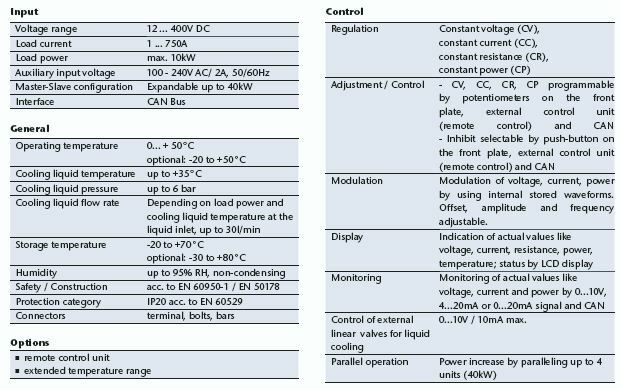 Click on the Series Name in the table below for a complete datasheet of specifications.